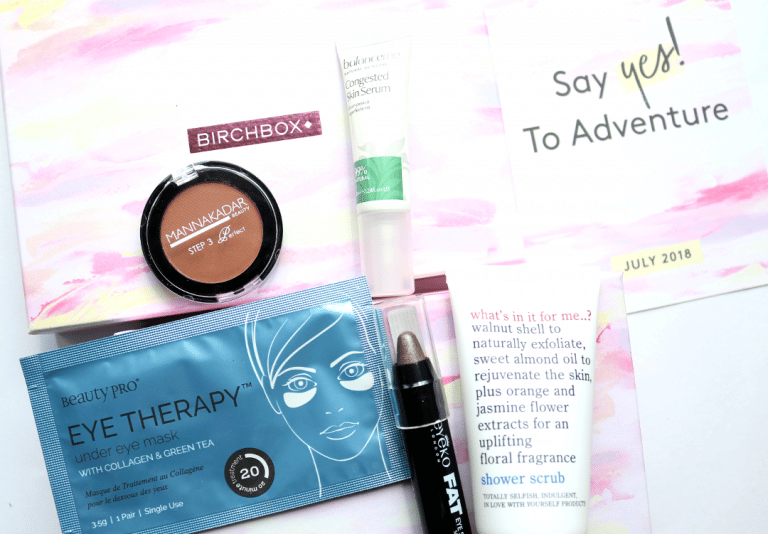 Summer is well underway here in the UK and if you’re planning your holidays and trips away, this month’s Birchbox have you got you covered. July’s theme is called ‘Say Yes To Adventure’ and it’s all about trying out something new, whether it’s something bolder with your makeup look or trying out a new hairstyle, this is the month to say ‘Yes’! 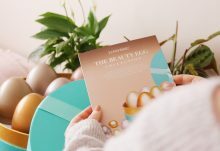 Needless to say, this Birchbox has a bunch of beauty treats to help you explore some new brands and step out of your beauty comfort zone a little. 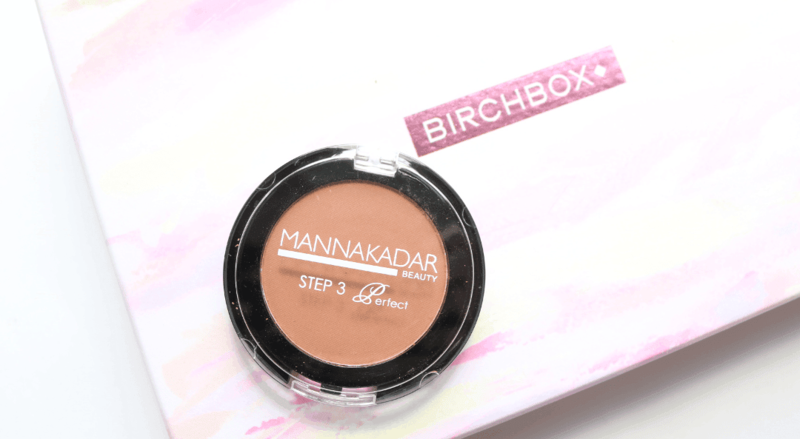 The first product that I picked up is a full-size multi-purpose powder from Manna Kadar – a makeup brand that I’m not overly familiar with. The powder has a lovely, silky, lightweight texture and blends easily, plus I love this shade. You can use it on cheeks or eyes, and even as a brow colour if you have the right colouring for it. 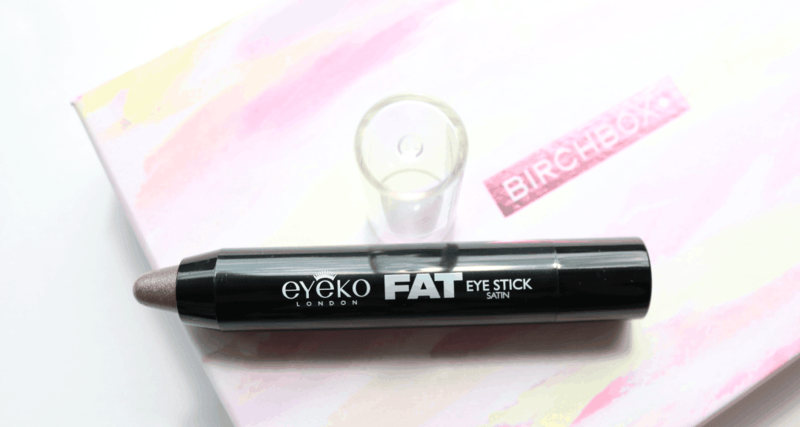 I was very happy to see this as I’m a huge fan of Eyeko and absolutely love their mascaras and eyeliners. This Fat Eye Stick is a chunky, creamy eyeshadow stick that glides on the lids so effortlessly. It has a handy twist-up applicator, so all you need to do is twist, swipe it on, and blend it out – easy! This shade Satin is a gorgeous slightly metallic taupe that’s very flattering on. 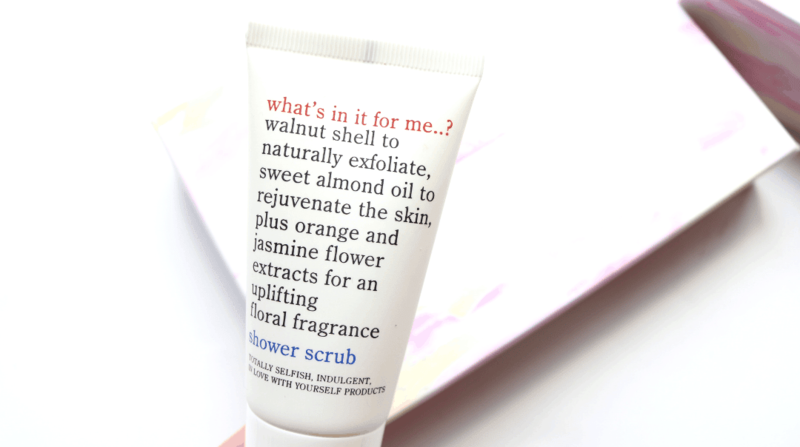 Next up, there’s a travel size Shower Scrub which is microbeads free and instead uses crushed walnut shell to gently but effectively exfoliate your skin. This is a really great two-in-one product to pack in your holiday bag and it smells so good too! 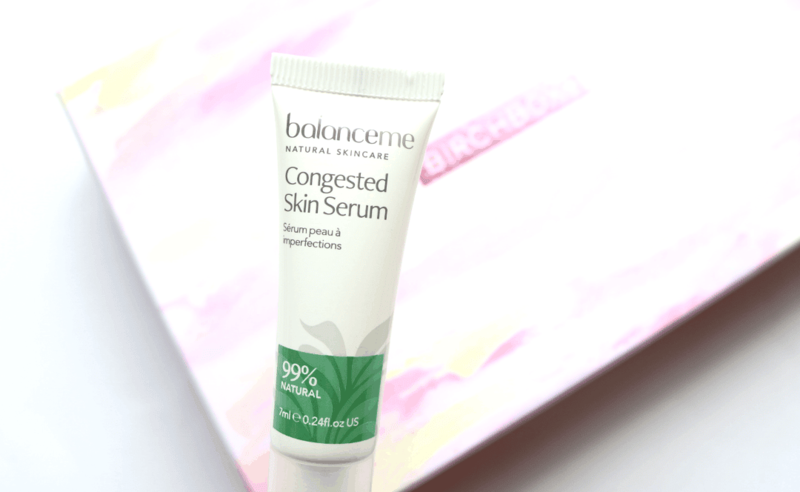 Skincare fans will love the Balance Me Congested Skin Serum which is 99% natural and can be used as an all-over facial serum as part of your regular skincare routine, or as a dedicated spot treatment to balance the skin and help refine those congested pores. I’ve used this before in the past and find that it works very well for oily/combination skin types. 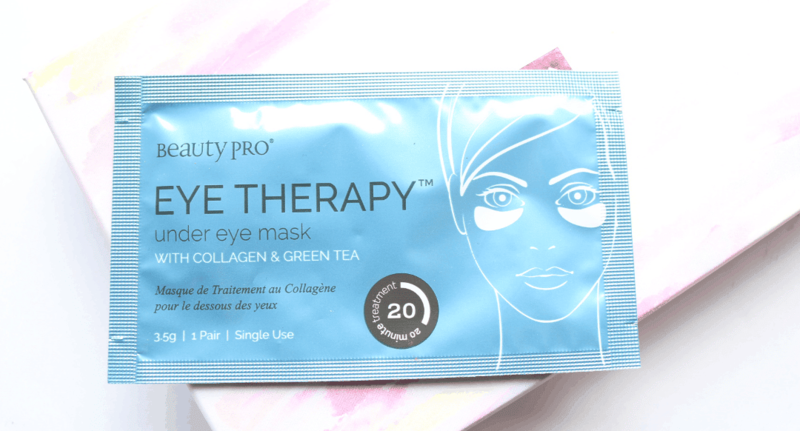 The fifth and final product in this month’s Birchbox is an Under Eye Mask from Beauty Pro. These hydrogel pads are infused with Marine Collagen, Green Tea extract, Aloe Vera and Vitamin E to reduce puffiness, smooth out fine lines and wrinkles and plump up the delicate under eye area. They get to work in just 20 minutes and sound great for a pampering session! 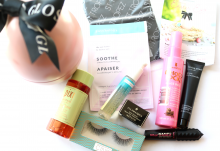 A great box overall from Birchbox with my favourites being the Eyeko Eyeshadow Stick and the Balance Me serum!